Dr. Moustapha Cisse1 was recently appointed as the Lead of the Google Artificial Intelligence (AI) Research Lab in Accra, Ghana, the first Google lab in Africa. It might interest you to know that Moustapha’s journey in AI began when he started designing an algorithm for a strategic game while studying for a Math and Physics degree at a Senegal university. He then went on to study Machine Learning with a Masters and a PhD degree in Paris, France. After spending some time working at Facebook AI Research, he has moved to lead Google’s AI expansion strategy in Africa. 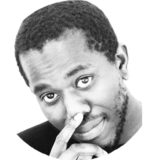 Moustapha is an AI technical researcher, hands-on expert and proactive knowledge champion with an inspiring vision for AI in Africa. Below we list ten facts about Moustapha Cisse. Moustapha is a strong believer in AI for social good. He believes that the most fundamental role of Artificial Intelligence is to enrich and enhance the quality of living while also enabling the core values of a society. Speaking at the ITU’s AI for Good Global Summit2, 3 last June in Geneva, he stressed that developments in AI should aim at making our societies better. He believes that AI should have a direct positive impact on peoples’ lives, in particular, education and healthcare. AI research and applications should be aligned with societies’ values and needs. It must be anchored on the essence of a society as an enabler of common good. Using AI to solve specific local community problems has been another career drive for Moustapha. For example, with regard to malnutrition in Africa, he proposes building AI systems and datasets to predict nutrition crises and also to provide insight for proactive actions4. Moustapha argues that joint partnerships should be established between policy makers and the AI community to build intelligent solutions to local nutrition challenges5. He was very passionate about these issues at the African Green Revolution Forum (AGRF), which took place in Abidjan, Côte d’Ivoire in 2017. “You are what you eat, and right now we feed our models junk food”6. Moustapha emphasizes the need to focus on making our models less biased by relying on high quality and less noisy datasets. He believes that in order to remove bias and inequality, data trust mechanisms should be used to evaluate the input data that AI products and platforms currently rely on. Moustapha believes that the AI bias problem is fundamental and can be eliminated only by trustworthy and quality datasets. He advocates a non-discriminatory definition of AI problems seeking to tackle global issues, not just white-centric ones2. Moustapha argues that the AI community should explore many important problems to be solved in developing world, and not only the stereotypical white or male only issues. Moustapha is committed to supporting AI development and growth in Africa. His vision for AI in Africa and his technical contribution to the field makes him an inspirational role model for young talented Africans to follow. Moustapha is an influential participant in many African AI talent development and capacity building events. He was a speaker at the Data Science Africa 2016/2017 Summer School, in Uganda/Tanzania respectively7. During that event Moustapha had an active role in the Data Science in Africa Workshop, aiming to develop an engagement framework for young African talent to get more involved in using big data and real time data analytics to solve community problems. Moustapha will be participating in the Deep Learning Indaba8 in September 2018, to be held in South Africa. In collaboration with other prominent AI participants from the continent, Mustapha is genuinely committed to enhancing African involvement in the advancement of AI. Collaborative, open and free access to knowledge has been central to Moustapha’s personal development. Therefore, he is a strong advocate of open access as a driving force for innovation. Recently, he signed an agreement to boycott the Nature’s Machine Intelligence Journal due to its lack of open access9. Dr. Moustapha Cisse is a co-founder of a number of AI and machine learning African groups including the BlackinAI10 group, which aims at enhancing black people involvement in AI via sharing ideas, collaborations and initiatives. He was one of the organisers of the 1st ever Black in AI event, which took place at Neural Information Processing Systems (NIPS) 2017 in California, USA, with a clear goal to increase the presence of Black people in the field of artificial intelligence, for both diversity and data bias prevention purposes. He co-founded BlackinAI with Timnit Gebru (Microsoft Research, NYC), Rediet Abebe (Cornell PhD), Sarah M. Brown (University of California, Berkeley), Sanmi Koyejo (University of Illinois) and Lyne P. Tchapmi (Stanford University). BlackinAI is driving capacity building through conferences and mentorship, while also driving better representation of the black community in the emerging global AI community. It has over 600 members from Africa, Latin America, Asia, Europe, and North America. With over 200 women members. As an active AI researcher, Moustapha’s has many publications in respected international journals and conferences11. His research interests the issue of trust in AI, tackling issues of safety, security, fairness and bias12. Recently, he has been working on understanding and generating adversarial models to evaluate the robustness of AI systems. Such models can benefit speech recognition and semantic segmentation in applications such as personal assistants and self-driving cars. Moustapha has also been working on creating defences for adversarial models. Biases in datasets has been another research issue considered by Moustapha. His research findings show that deep learning models based on popular datasets sometimes learn biased decision- making rules. He argues that assuming datasets are balanced is not always right. His work concludes that bias in datasets can be due to various reasons including racial issues. Once inspired by an AI project in an undergraduate algorithmic course, Moustapha self-learnt the basics of AI by watching YouTube videos. His interest and belief has made him a top-level expert in the field. He is classicial reference of “YOU CAN”, whose path has dramatized the fact that it does not matter where you start from, every child in Africa can go and become the best in their chosen career. 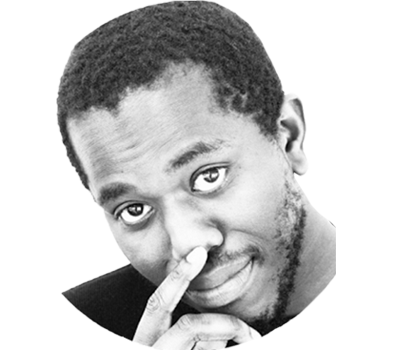 Being an African has not always been an advantage in Moustapha’s AI research career. In a recent interview12, Moustapha talked about the lack of diversity he and other non-western AI researchers have been facing in the AI community. He emphasized that major AI events are usually organized in Western countries. Moustapha talked about his personal discrimination experiences, such as being denied a visa to visit Australia. Dr. Cisse explained that this prevented him from attending the major ICML 201713 AI conference to present two papers accepted by the ICML. Having said that, Moustapha has always been a proud African who loves his continent. He always encourages others to visit his country, Senegal, and learn more about the African culture. On the AI front, Moustapha Cisse has a vision for Africa to be actively involved in state of the art AI advancements that will solve the continent’s problems in agriculture, health and education. His vision and AI technical capabilities will sustain his great contribution to the AI movement in Africa. 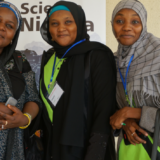 Data Science Nigeria is very excited to have Dr. Moustapha Cisse lead this project in the sub-region. We consider ourselves privileged to be a ready pipeline that can leverage the Google Lab platform for truly transformational AI innovations tailor-made to address millennium development goals in the continent. Written by: Bayo Adekanmbi, Convener Data Science Nigeria & Chief Transformation Officer, MTN Nigeria.